The use of corticosteroids in the management of rheumatoid arthritis dates back to 1948 when Philip Hench, MD, first used them at the Mayo Clinic. Dr. Hench received the Nobel Prize in Medicine for his work in 1950. His patients included the famous French Impressionist and Fauvist painter Raoul Dufy, who achieved a renewal of his physical dexterity from the treatments and had a renaissance in his artistic career. Rheumatologists have since been enamored with the use of corticosteroids for treating rheumatoid arthritis. Corticosteroids are a group of medicines that control inflammation and regulate many of the human body’s normal functions. For the management of rheumatoid arthritis, this group of medications can be given intravenously (in a vein), intramuscularly (in a muscle), intraarticularly (injected in a joint) or orally (by mouth). Although they can be given topically, topical administration is primarily for skin disorders. Prednisone, Medrol, Depo-Medrol, Solu-Medrol, Kenalog, Celestone, methylprednisolone, hydrocortisone, triamcinolone, dexamethasone and others are all different types of corticosteroids used to treat a host of illnesses. Your doctor will pick the type of steroid and the method of administration according to your personal needs at the time of his or her assessment of your situation. Corticosteroids are used in many ways. The goal in any of these treatments is to resolve the joint swelling, pain and limitation caused by rheumatoid arthritis. One way of using corticosteroids is a high dose, followed by a decreasing dose program to lower the dose gradually, eventually stopping the medication. This is called a “burst-and-taper.” Taper schedules are used when a high dose is continued for more than 5 days. Most patients can take a high dose for less than 5 days and stop or return to a low dose of steroid without a dose taper; this would be just a steroid “burst.” When a rheumatologist gives an intra-muscular injection of steroid in the office, it is quite similar to a 5-day “burst” to provide relief immediately. Corticosteroids can be injected into a joint to relieve inflammation of rheumatoid arthritis; it will also act like a “burst,” but it will act locally, in the joint. 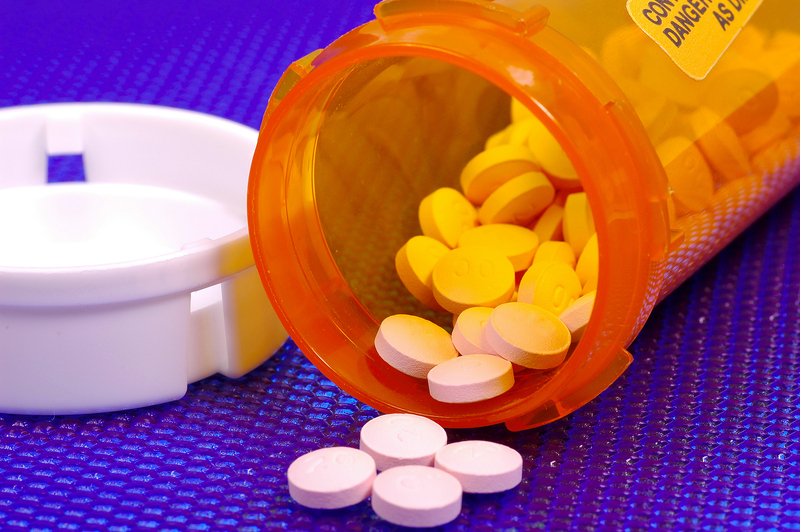 Some patients will use a low dose for a longer period of time, until other medications start to control the disease. This is known as “bridge” therapy. 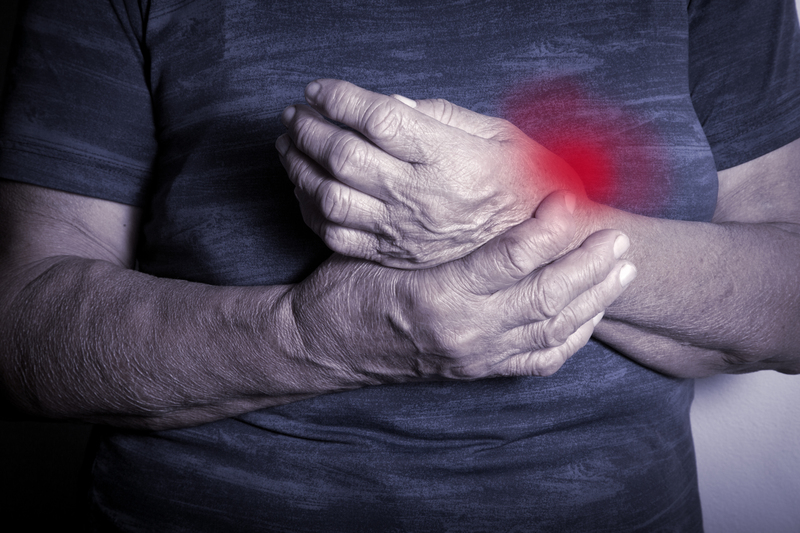 On rare occasions, some patients with rheumatoid arthritis continue a low dose of steroid for much longer, and even more rarely will remain on low doses of a corticosteroid as part of the regular therapy for rheumatoid arthritis. Interestingly enough, there are some medical journal publications that suggest this is an alternate strategy for controlling the erosion or damage of rheumatoid arthritis. Corticosteroids can be of great benefit to patients with rheumatoid arthritis but can have significant long-term side effects. These include but are not limited to skin thinning, easy skin bruising, purple skin streaking or striae, weight gain with increased abdominal girth (“belly” fat), progression to diabetes and bone loss that can lead to osteoporosis. Therefore, rheumatologists (and all physicians) make every effort to balance these risks against the benefits to health when prescribing or continuing corticosteroids for rheumatoid arthritis. For more information on corticosteroid use, please see the American College of Rheumatologist’s website, www.rheumatology.org in the patient information section of the site, or talk to your treating rheumatologist about corticosteroids.